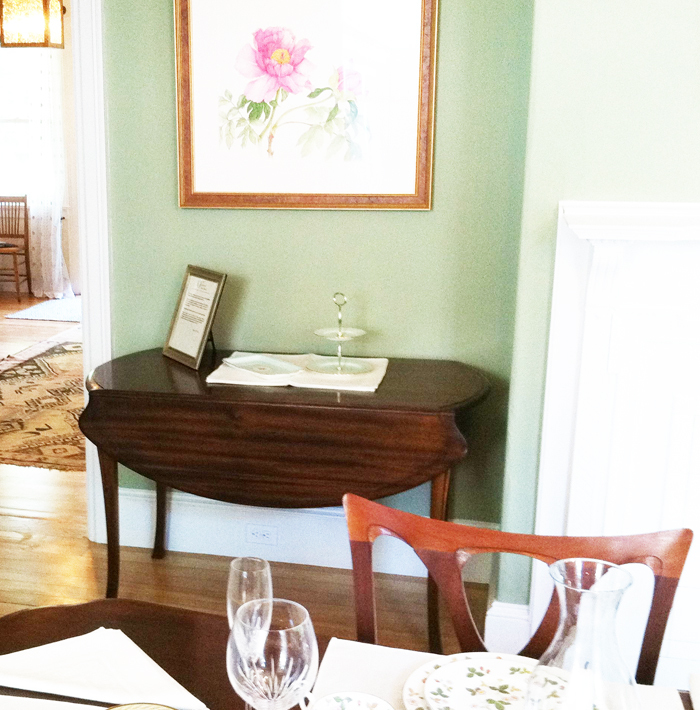 The Art Nouveau Desk and Mackmurdo chair on exhibit at The Gallery at Somes Sound, Bar Harbor, ME. Both sold this fall. 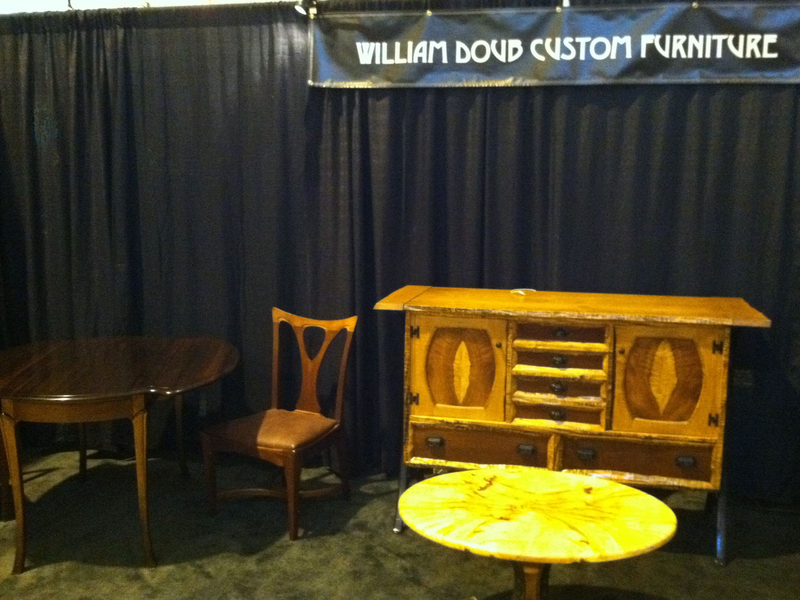 The Fine Furnishings Exhibition at the Pawtucket Armory, Pawtucket RI. 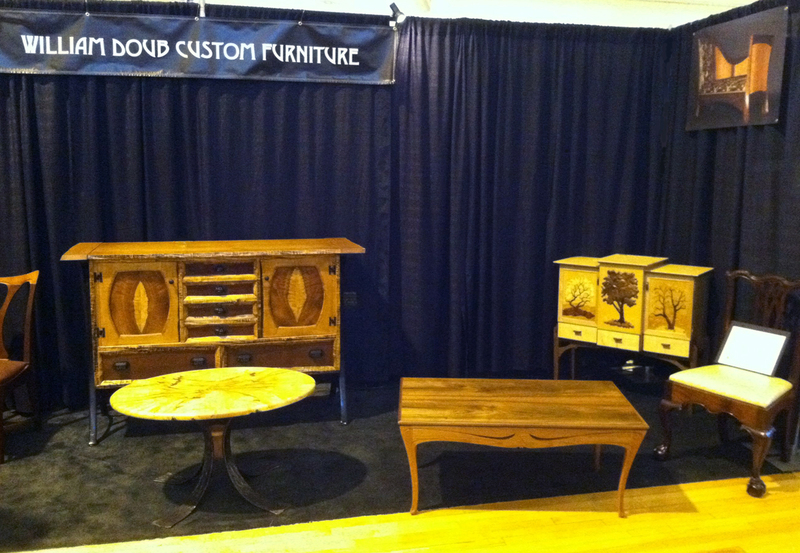 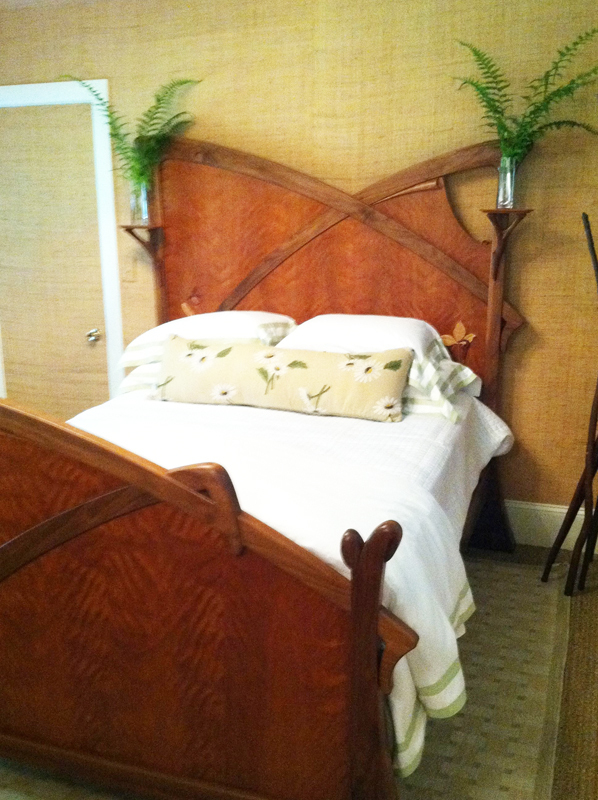 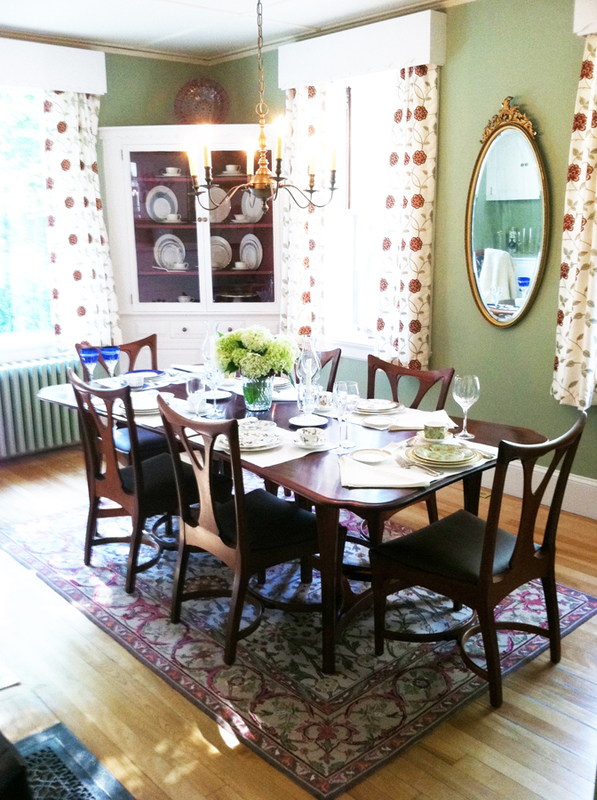 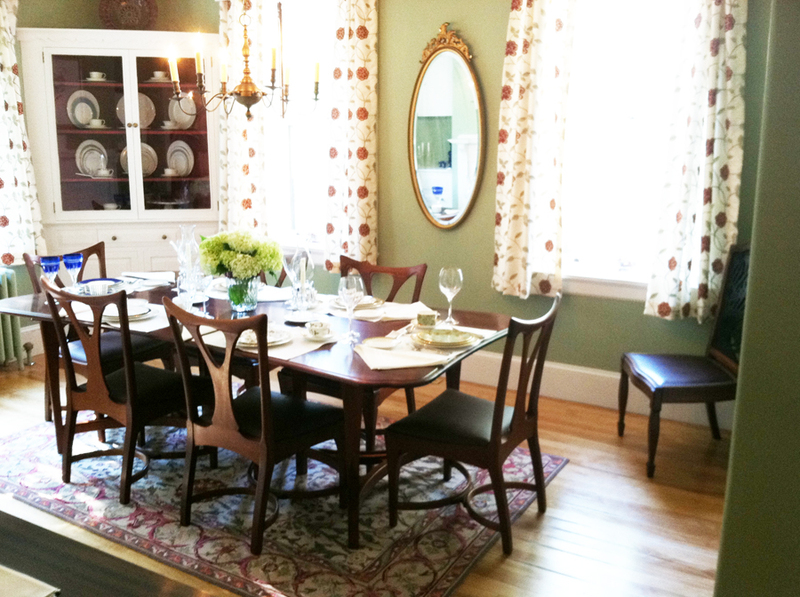 Another view of the Fine Furnishings exhibition, November 1-3, 2013. 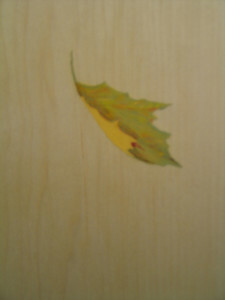 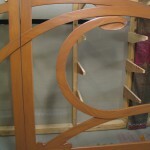 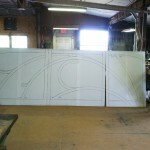 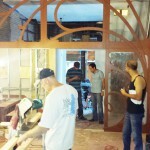 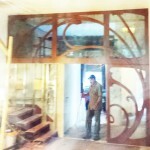 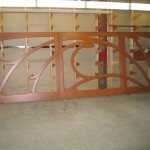 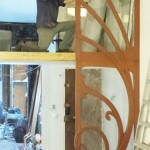 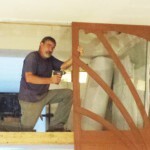 This was a very busy fall following the installation of the Art Nouveau Gallery in NYC. 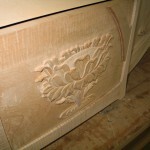 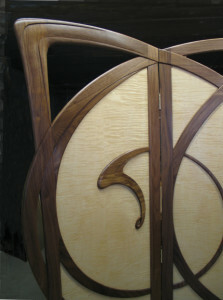 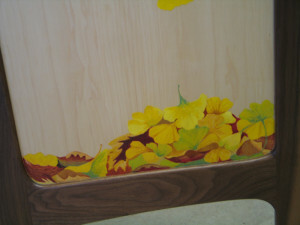 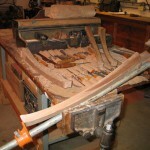 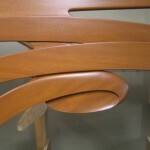 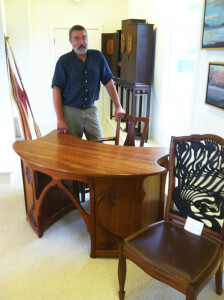 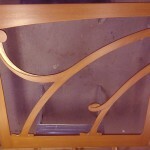 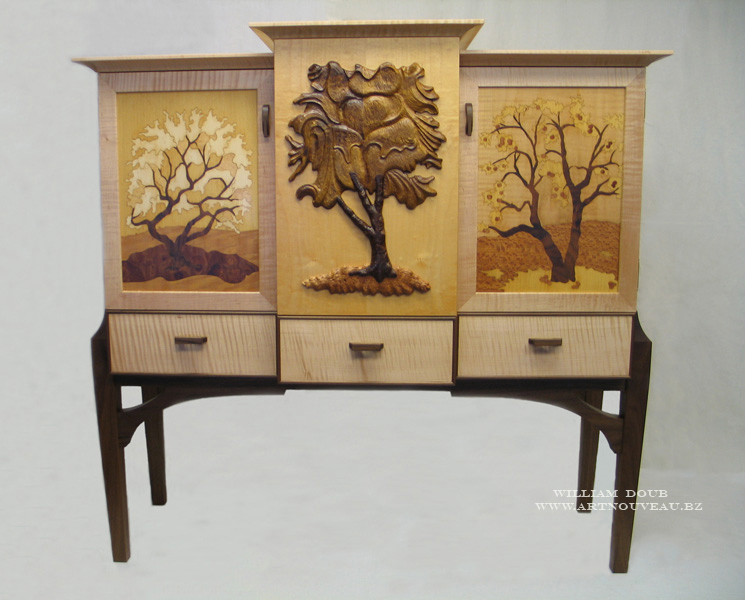 We sold an Art Nouveau desk exhibited at the Gallery at Somes Sound to a client in Toronto. Then two Art Nouveau chairs sold during the November Fine Furnishings Show in the Pawtucket Armory, RI. 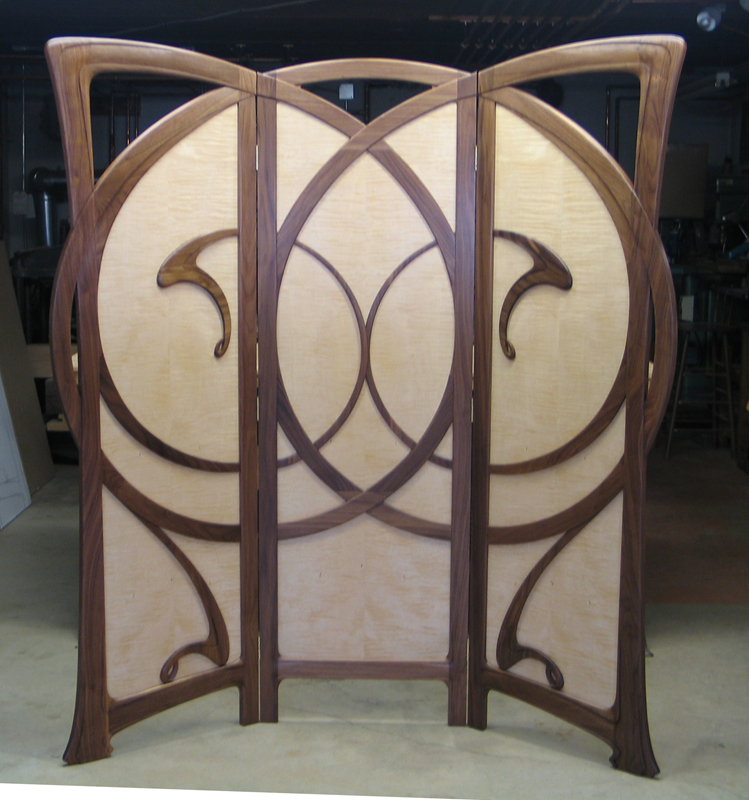 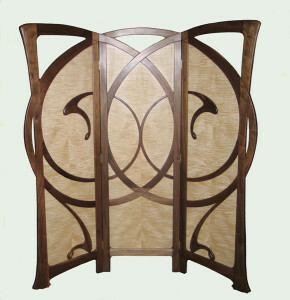 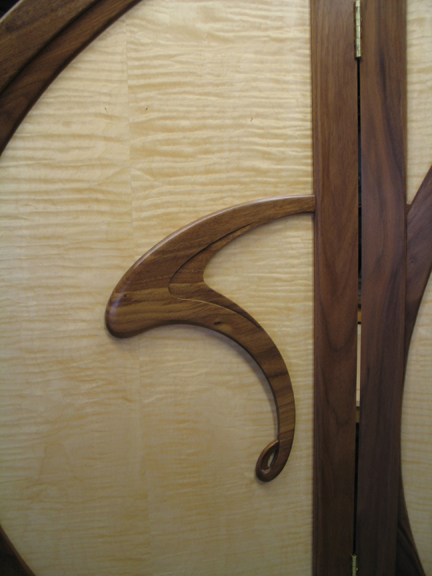 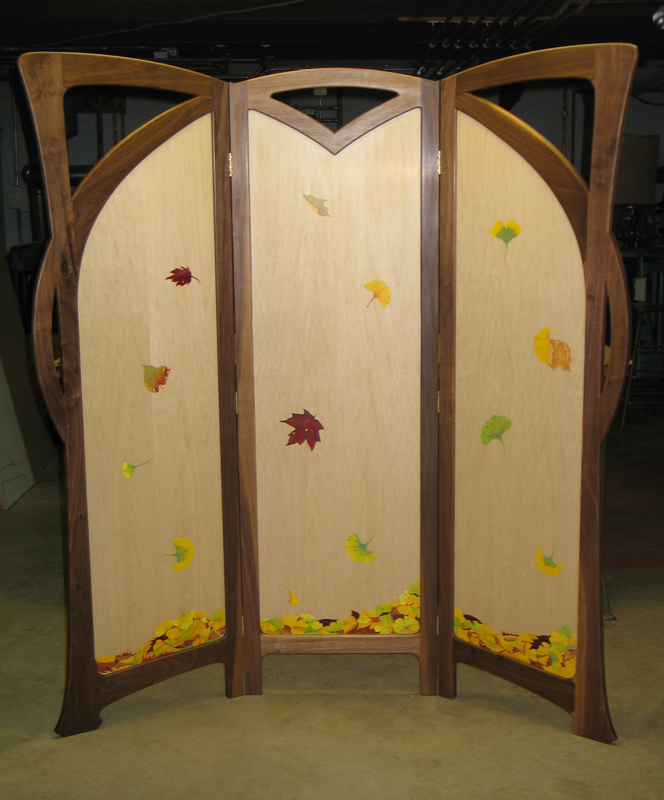 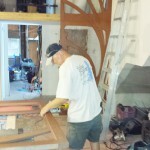 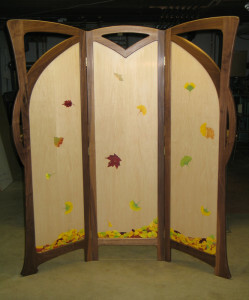 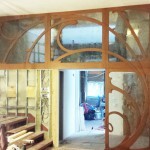 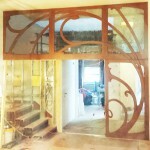 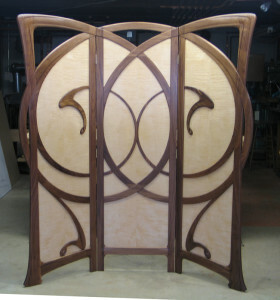 In the interim, I designed and am carving an Art Nouveau screen for the CraftBoston 2014 show. 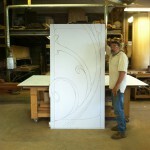 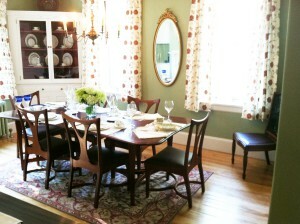 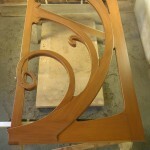 drawing up a staircase for NYC, and planning to build an Art Nouveau dining room in Massachusetts.